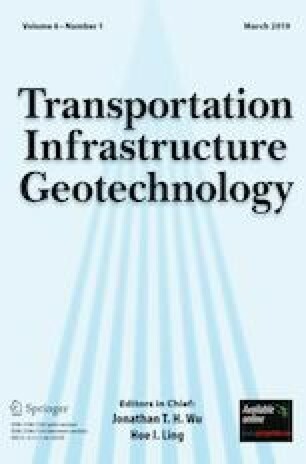 Transportation Infrastructure Geotechnology selects Professor Victor N. Kaliakin of the University of Delaware as the winner for the 2018 Fumio Tatsuoka Best Paper Award. 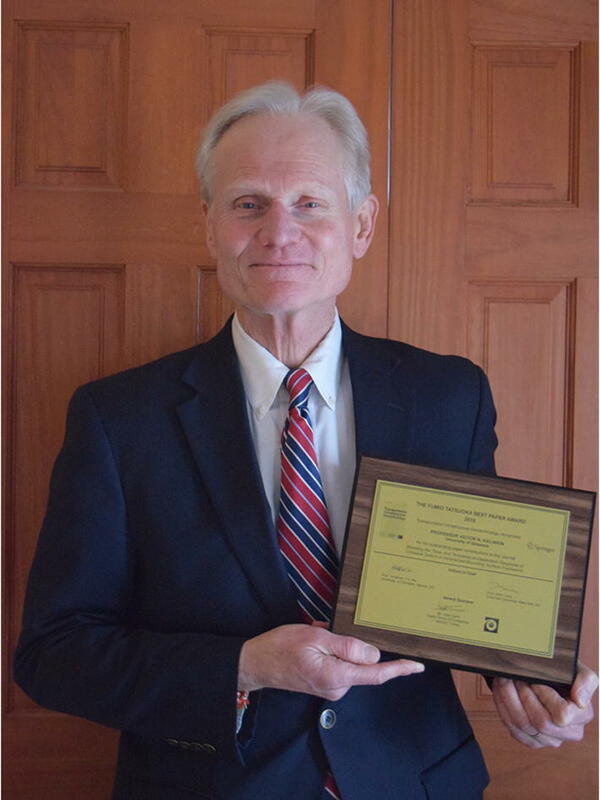 Prof. Kaliakin has made significant contributions to geomechanics, especially in constitutive modeling of geomaterials, through the publication of his Donald M. Burmister Lecture entitled “Modeling the Time- and Temperature-Dependent Response of Cohesive Soils in a Generalized Bounding Surface Framework” (in Volume 3, Issue 5, pp. 250–286). The paper is co-authored with Andrés Nieto-Leal and Meysam Mashayekhi.